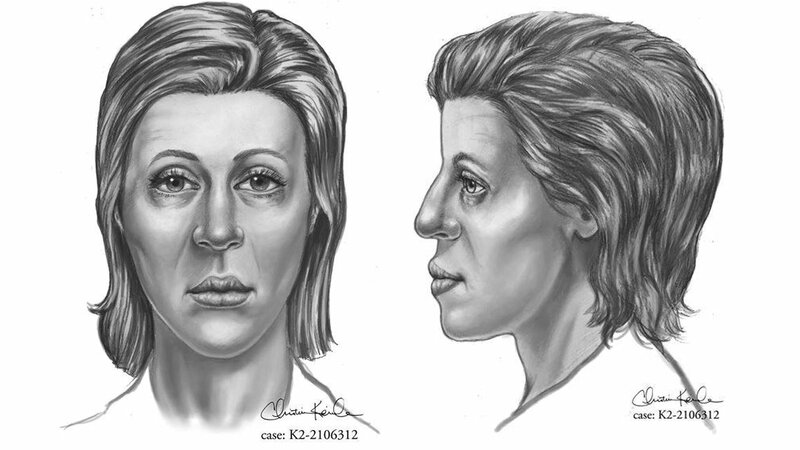 EDGEMONT TWP., Pa. (WPVI) -- Pennsylvania state police have released new images in hopes of identifying a woman found dead in a Delaware County state park. The new facial reconstruction images were released on Monday. The remains were found in January 2016 in a wooded area along a trail in Ridley Creek State Park. The woman was fully clothed in cold-weather clothing, police say. She is believed to be a white female between 25 and 45 years old standing 5'2" to 5'10" tall. Three rings were found with the victim. They were described as a gold Irish Claddagh ring, a gold initial ring bearing the initial "C", and a gold diamond ring. Investigators say an analysis of the remains indicate she lived in the northeastern United States, with a strong probability she was from Pennsylvania or an adjacent state. Anyone with information regarding the identity of the unknown female should call Trooper Andrew Martin, PSP Philadelphia, at 215-452-5216. Reference incident number K02-2106312. Anonymous tips can also be submitted through Pennsylvania Crime Stoppers; phone 1-800-4-PA-TIPS or (800) 472-8477. Tips leading to arrests could be eligible for cash rewards.